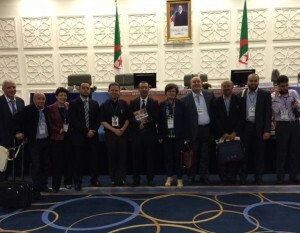 The IV ASID (African Society for Immunodeficiencies) congress took place in Algeria on 29– 31 May 2015. 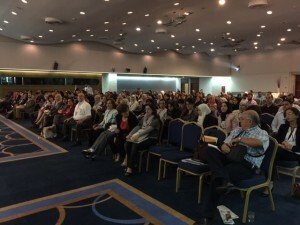 Around 350 attendees from the African continent gathered together. IPOPI seized the opportunity with the invaluable support of Martine Pergent (IPOPI Vice Chair) to organise a Regional Patients’ Meeting. 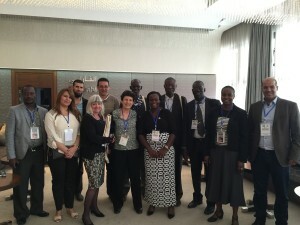 The IPOPI meeting was very well attended with 9 countries represented: Algeria, Benin, Egypt, Morocco, Senegal, South Africa, Sudan, Uganda, and Zambia. The IPOPI Regional Patients’ meeting kicked off with the introduction of each of the participants. This allowed everyone to know each other better and get in touch with each other’s personal experiences and struggles. Martine Pergent provided an overview of IPOPI’s activities and National Member Organisations (NMO) support programmes. Dr Maroufou, Jules Alao (Benin) gave a very clear and helpful presentation on a critical issue: “understand and explain what is a Primary Immunodeficiency (PID)”. Afterwards each country had the opportunity to present an overview of its environment, outlining specific national challenges and recognising potential opportunities. The attendees agreed that all of them are faced with conflicting priorities in their public health authorities as other better known conditions are often prioritized over PIDs. Awareness efforts must be taken so that PIDs are taken into consideration in public health policies. Participants also mentioned that in countries with a high consanguinity rate antenatal diagnosis should be better implemented to detect genetic diseases earlier. This meeting ended with the launch of an African PID Call to Action and a positive note: “Nothing is impossible, just a little difficult”.